In Syria, where chaos reigns and there are no moderates among the Sunni Arab opposition, the “enemy of my enemy” principle may apply. Israel should act quickly. Relations between the Syrian Kurds and Israel have changed dramatically over the past eighteen years. In 1999, the Kurdistan Workers’ Party (PKK), the most influential party among the Kurds in both Syria and Turkey, accused the Mossad of contributing to the kidnapping of its leader and founder, Abdullah Öcalan, and handing him over to Ankara after years of exile in Syria. 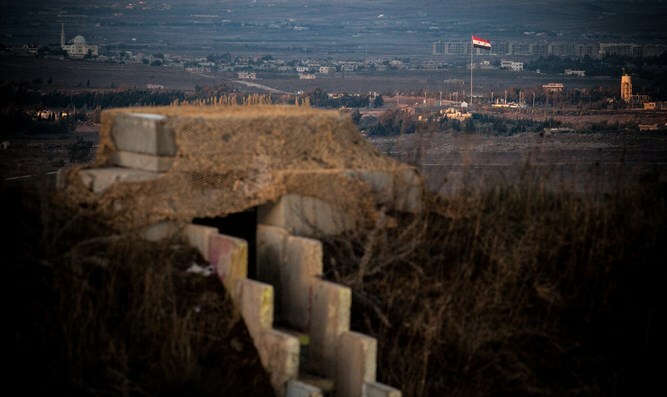 At that time, the Syrian regime was in control of the country and engaging in delicate negotiations with Israel in the US about the Golan Heights. Today, the scene is completely different. War-torn Syria is divided, and talks about the Golan are a thing of the past. Benjamin Netanyahu, Israel’s prime minister at the time of Öcalan’s capture, is back in office and is now the second-longest-serving prime minister in Israel’s history after David Ben-Gurion. The PKK has shed its Marxist skin, transforming into a pragmatic party that rules vast territory. Since declaring “Rojava” in northern and northeastern Syria in 2013, the Democratic Union Party (PYD) and its military arm, the People’s Protection Units (YPG), both of which are linked to the PKK, have built a uniquely viable entity amid the surrounding bedlam. The social contract in Rojava promises a new era, one distant from the hatred dominating the rest of Syria. The city of Idlib, near the Turkish border, is under the rule of factions inspired by al-Qaeda’s ideology, and is evolving into a Syrian version of Kandahar. Areas run by Ankara in northern Syria under Operation Euphrates Shield will collapse if Turkish aid should cease, but its Turkish-supported factions fight one another anyway. The territories under the regime’s control suffer from deterioration in the provision of essential services, ongoing repression, security chaos, and even sporadic battles, and the areas controlled by ISIS face catastrophe. The ancient proverb “the enemy of my enemy is my friend” could be useful to Israel in this grim scenario. The Syrian regime continues to uphold its traditional anti-Israel stance, and is in any case largely dependent on Iran, Hezbollah, and the other Shiite militias, all of which want Israel destroyed. The Arab Sunni factions veer towards religious fundamentalism when circumstances allow, while the Alawites, the Druz, and the Christians are getting closer to the Russian-Iranian axis and falling under Hezbollah’s command. The Syrian Kurdish parties opposing PYD are openly linked to Ankara, which is ruled by a president, Recep Tayyip Erdoğan, who is obsessed with power and whose ideology considers the entire State of Israel to be illegitimately occupied by Jews. Moreover, he has recently established a rapprochement with Tehran – a worrying development. The Iranian Chief of Staff, Maj. Gen. Mohammed Baqeri, who was the first Iranian official at that level to visit Turkey since 1979, has confirmed signing bilateral security memoranda with Ankara. Iran is now closer than ever to securing a land corridor that will connect it to the Mediterranean through Iraq, Syria, and Lebanon. This corridor will expand its sphere of influence from the Strait of Hormuz in the east to the Mediterranean in the west, and will ensure that Israel is surrounded by land and sea. Israel would do well to eye Rojava with interest, and not only to confront Iran’s penetration. 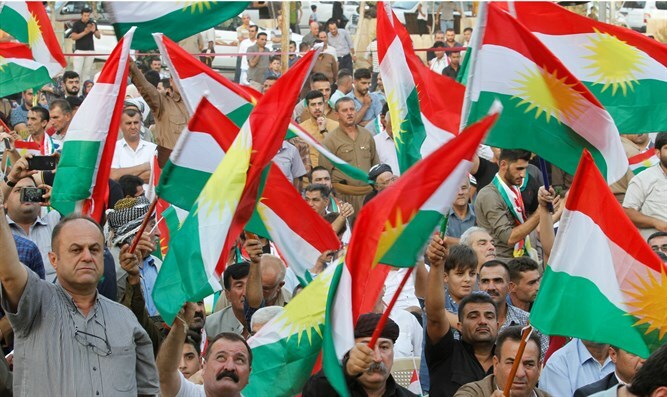 Rojava and Iraqi Kurdistan are the only entities in the Middle East, apart from Israel, that enjoy open, secular, and liberal rule granting considerable rights to the opposition, women, and minorities. This is particularly notable in a region where radical and totalitarian ideologies prevail. Should Israel strengthen its relationship with the Syrian Kurds, its gains would extend beyond strategic, political, and security benefits. Rojava’s natural resources, especially its oil, can contribute to Israel’s energy supply and be invested in projects such as an oil pipeline through Jordan to Israel. US troops are stationed at several military bases in Rojava, which could offer an alternative to Incirlik Air Base in Turkey. Kurdish leaders regularly stress that US forces will remain in their areas for a long time, indicating that this is not an “understanding of necessity” dictated by provisional circumstances. For the past six years, Israel has followed a policy of non-intervention in Syria except when the security of its northern borders is challenged. Its efforts to strike alliances with effective groups on the ground have failed. Tehran is clearly determined to establish a foothold on Israel’s northern border and set up bases for Hezbollah, which would amount to a Syrian version of the Lebanese militia. It appears abundantly clear that the Kurds are the most qualified, if not the only, candidate in Syria on which Israel can count for support. Even if Netanyahu backs the efforts of the Kurdish people to achieve their own state in Iraq, it goes without saying that the Israeli government should listen attentively to former IDF deputy chief, Maj. Gen. Yair Golan, who refuses to label the PKK a terrorist organization. Israel should act swiftly to support the emerging Kurdish region in Syria and draw a distinction between its relations with Ankara on one side and the Kurds on the other – an effort that has become necessary in light of Erdoğan’s persistent advocacy for Hamas. It is entirely possible that the agreements to be forged regarding Syria’s future will not accede to Israel’s demand to forbid the stationing of Iranian troops in Syria. These agreements might also cement Hezbollah’s presence near the Israeli-Syrian border, which would grant it the capability to open another front against Israel in addition to that in Lebanon. Thus, any Israeli influence in Rojava could be valuable. Iraq is ruled by Tehran’s allies, and Turkey is cozying up to Iran. It is very much in Israel’s interest to have a reliable and trustworthy friend in the new Syria. If Jerusalem hopes, together with its ally in Washington, to prevent Tehran from establishing its long-sought land corridor, it will need to strengthen its influence in the Syrian Kurdish region to serve as a wall blocking Iran’s ambitions.